For years we have been offering our clients the highest quality designs on the best materials. We strive to impress you, not just meet your expectations. From the beginning discussions of the look and feel your project should have - to the final project which demands attention, we can provide you the total package that you will be proud to call yours. 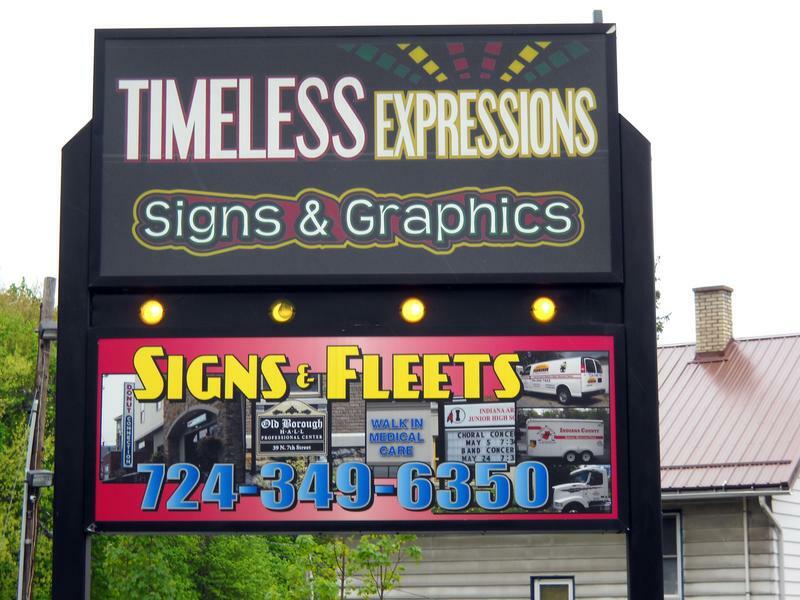 Timeless Expressions has been located in Indiana since 2000. You only have to rely on one company, one resource, one phone call. It means convenience and confidence for your signage. According to the National Association of Advertisers, on-premises signage costs much less per impression than any other form of advertising. In general, surveys have shown on-site signage typically increases foot traffic between 20-50%, compared to 2% for radio advertising, 5% for television, and 8% for newspaper advertising.